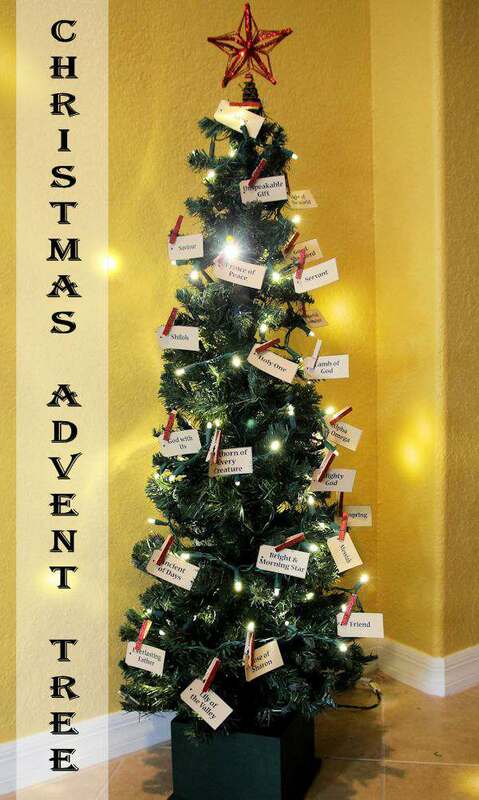 Do you have a tradition of using an advent calendar for Christmas? 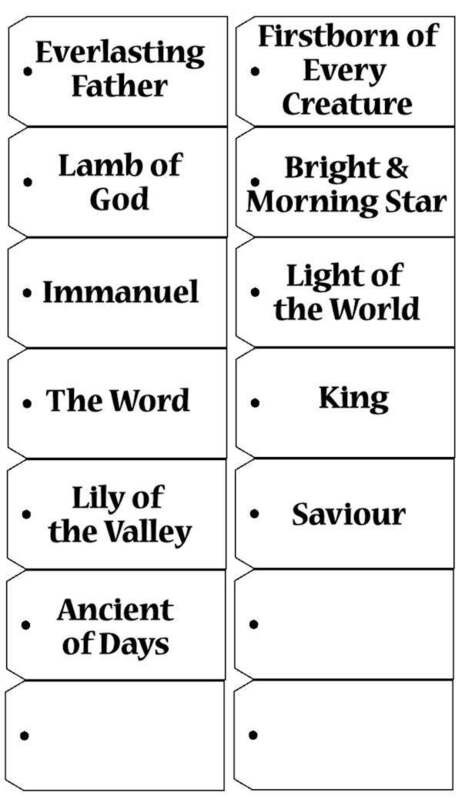 I recently made one but not to count the days til Christmas, but to show all the different names for Christ. I understand there are about 200 names, so my list is just a few. 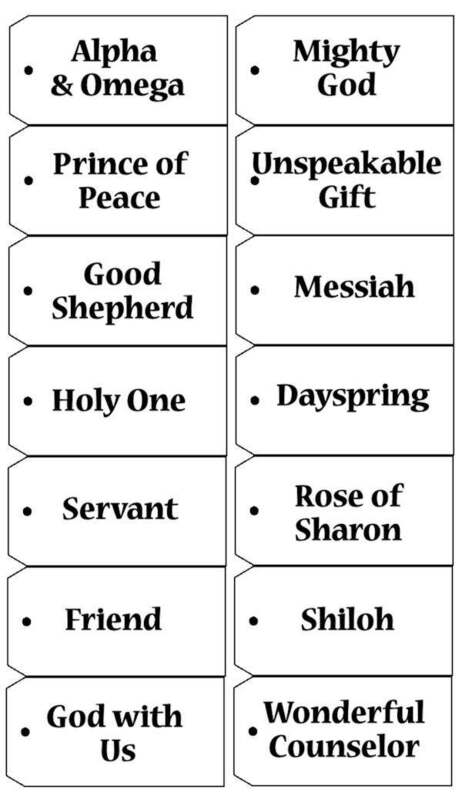 What a great way to teach our children each day a different name for Christ and to read and learn about it in the Bible. I had a 3-foot tree which I used for many years on a porch. But a few years ago, I stopped putting “too” much outside and didn’t use the little tree anymore. Until last year. 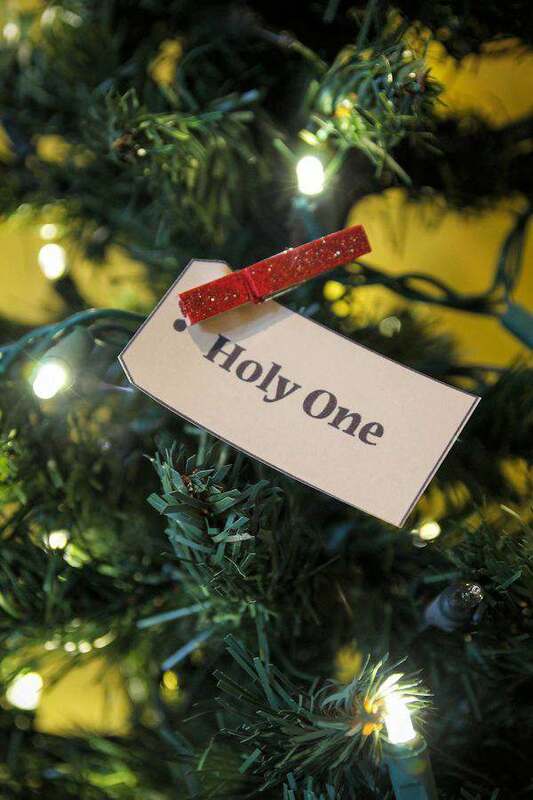 I pulled out the little tree and since I was learning more about the Bible, I thought of printing out different names for Christ and each day I would put a name on the tree and then hubby and I would read about that name in the Bible. A great learning tool. I used craft colored cardstock to print the labels on and small clothespins. I then painted the top of the clothespins with red glitter paint. Just to add a little bit of color to the tree. I also found a Dollar Store red star tree topper that worked perfectly for this size tree. I love how this looks sitting in the foyer and the first thing people see coming into my home. Great way to get people talking about Christ this time of the year. 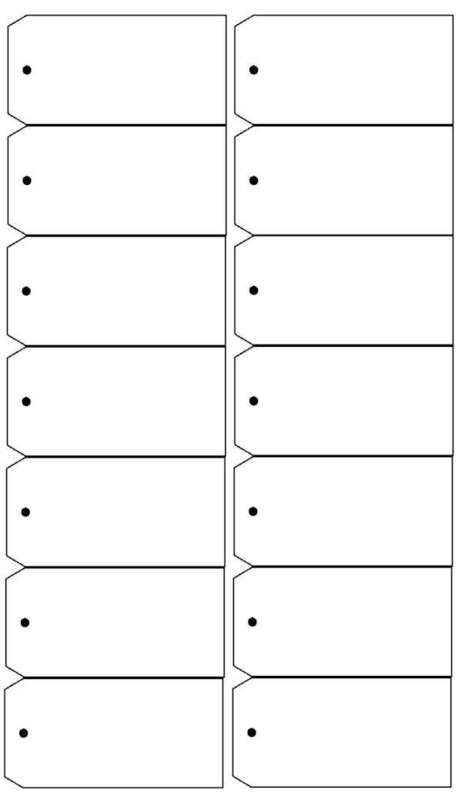 I have the tags I made for you to download and enjoy with your family and friends. Just click on the link below each picture to download the PDF file. Print on any cardstock and you are ready to go. Love this, Tammy! What a beautiful reminder. Shared!! This is awesome. My daughter had the usual chocolate calendars. Thanks for stopping by Nicole. Now I would love a chocolate calendar. I LOVE this! We do an acts of service calendar that helps keep our focus as well. It is all about Christ!! I love this idea! A great way to keep CHRIST in Christmas. What a simply wonderful idea! Love it. Thank you for the inspiration. Love it ! Thank you for linking up at Bloggers Brags pinterest party.I have pinned to bloggers brags pinterest board. We would love to see you again tomorrow.